We are writing this letter in positive support of Sen. Mark Udall. As a leading member of the U.S. Senate, Mark Udall has been a tireless champion for Colorado. He has continuously reached across the aisle and is widely known as a model of bipartisanship. But he is now in one of the toughest and most contentious re-election battles in the nation, largely due to the millions of out-of-state dollars that have poured into Colorado in an effort to influence our election. As Coloradans, we need to stand up and say NO to the extreme non-Colorado billionaires who are trying to tear down Sen. Udall. We will not be bought. Although his list of accomplishments for our state is a long one, we have chosen to outline for you some of the reasons he deserves our vote. This election is not a typical mid-term election. The stakes are very, very high. Please consider supporting Sen. Udall in his continued love and service to our beautiful state. Vote! 1. 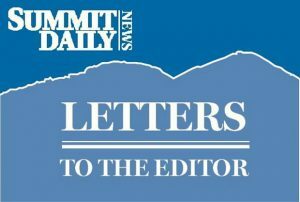 Mountain economy: Sen. Udall led the effort to formulate and pass bipartisan legislation to allow Colorado’s ski areas to create more jobs and drive economic growth in the summer months. 2. Forest fire safety: Sen. Udall pressed the U.S. Forest Service to acquire a new fleet of newer and safer next-generation air tankers. These modern assets will help fight fires in Colorado and beyond. 3. Veterans: As a member of the Senate Armed Services Committee, Sen. Udall fought to ensure that we honor our commitment to our veterans. He brokered a deal that allowed Western Slope veterans to receive essential health services in Grand Junction, instead of making time-consuming and unpredictable trips to Salt Lake City and Denver. 4. Health care: Yes, Sen. Udall supported the Affordable Care Act, and in Colorado that has allowed over 400,000 people to gain health insurance through our state-based health insurance exchange and Medicaid expansion. In fact, Colorado’s uninsured rate has been reduced from 17 percent to around 11. That is the fifth-highest drop in the United States. He also worked with our state agencies to ensure Colorado was re-evaluating the rates in the mountain communities. He heard us and took action! 5. Gun reform/sportsman’s rights: Sen. Udall has also supported commonsense measures to increase gun safety while protecting Second Amendment rights, including voting yes for universal background checks. He also introduced legislation to increase access to shooting ranges for sportsmen to safely practice their sport. Sen. Udall’s efforts are not about taking guns away from law-abiding Coloradans; rather, they are about keeping them out of the hands of criminals and the mentally ill.
Sen. Udall has supported so many issues that have positive effects for the state of Colorado, which is why we will wholeheartedly support him on Nov. 4. We hope you will consider these areas of support and his many other accomplishments in this era of “do nothing government” and support him as well. Mark Udall has had our back throughout his service in Congress, now it is time for us to have his.